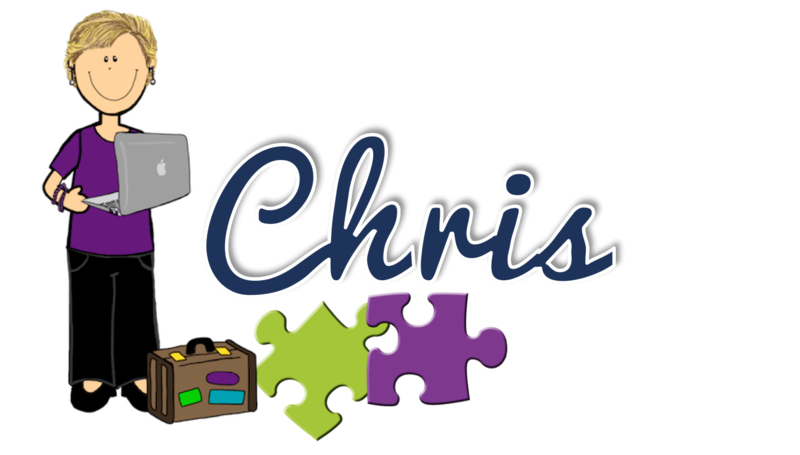 How to set yourself up for success in the first week of class in the special ed. 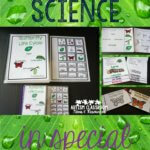 classroom is the topic for the last week of the summer special education blog hop. So I’m here to share 5 things you can do that will get your year off to a rockin’ start. I think many of us struggled a bit with deciding what to write for this week. Part of the reason is that we focus so much of our energy before school begins so that the first week goes smoothly. We don’t work in classrooms where you can “wing it” and expect to have a good week. Our students do best when given structure and predictability (as much as we can provide) from the start. Consequently, our first weeks looks very much like the rest of the school year. So, here are my tips for starting off on the right foot. 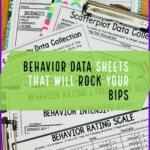 It’s so tempting to think that that you are going to get to know the students once they get into the classroom and that you are going to figure out the schedule once you know them a little better. Those of you who have done this for a while know that this typically doesn’t work well in special education. I know that it takes a lot of time to carefully plan out a schedule (that may change drastically after the first day), to plan out a staff zoning plan (that also will change based on the schedule), to plan out the furniture (that you might have to switch out when you realize the kids can easily hijack your spinning office chair), and to base all of this on reading the IEPs and getting to know your students way before you even meet them. However, I will tell you that spending this time up front, even though you have to be flexible and make changes as the year begins (and even later), the year will start off better with structure and a plan. The students will perform better if they start off the year with clear expectations and routine. For many of our students, if their year gets off to a bad start without clear expectations, getting them back on the right track is more difficult. So essentially it’s worth your time to spend the time up front and it should pay off with smoother times later. During the first week whenever I set up a classroom (which can be anytime of year), I tell teachers to focus first on getting the schedule to work. If you followed #1, then you should have a schedule routine to at least try. As you go through the first day or two, you will find activities that are too long and those that are too short. Ideas that looked cool on paper and in our minds, don’t always mesh with the students in our classrooms. However, it’s important to try to stick to a routine. You may change the routine the first couple of days, but sticking with a routine and letting the students know if there is going to be a change is important in getting the students into the groove of being at school. 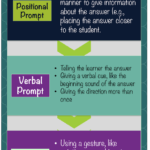 Visuals of schedules as to redirect are important throughout the year, but in the beginning you are teaching the students to use the visuals and what they mean. I spend a good bit of time in the first few days reviewing the schedule with the group and making sure that students check their schedules at each transition. Most important, though, make sure your visuals are correct. If you change the schedule/routine, make sure someone changes the students’ schedules. If you are out on the playground and decided to cut it short, have someone go into the classroom before the whole group (taking a couple of kids for supervision if needed) and add in an extra visual for the activity you added and gets the materials set up. 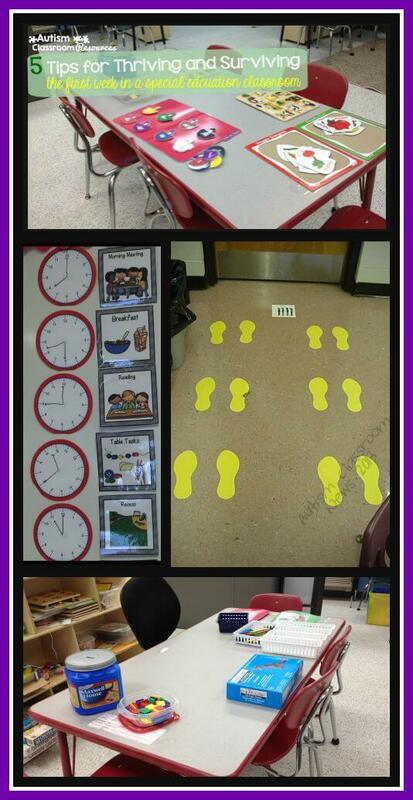 This helps keep the students on task which makes it easier for the everyone. If you change the schedule/routine, make sure someone changes the students’ schedules. This is another one that you want to do throughout the year, but at the beginning of the year, the more that you can get things set up to pickup and go when you get there the more time you have to manage the unexpected that happen during transition. Before you go home the night before school starts, set up as many of the activities for the beginning of the day as possible. That will make it easier to pull activities if you need something to keep a student busy while another is struggling and it means that when students have a place to sit and stuff to do as soon as they walk up to an area. This is perhaps the biggest and best piece of advice I can give to any teacher. At the end of every day in the first week, reflect on how the day went. What worked in the schedule? What didn’t work? What worked with the physical space and what didn’t? What worked for and with the staff and what didn’t? What did you learn about each student that day? If you had difficulties with behavior, what are you going to change tomorrow to try to prevent that? If you had difficulties with behavior, what are you going to change tomorrow to try to prevent that? 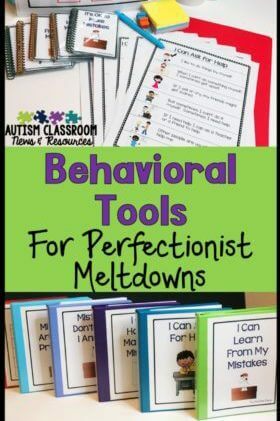 I find it helpful to keep a clipboard or notepad somewhere central in the classroom that everyone in the class can write down something they note needs to be a addressed. This makes it easier to know what needs to be addressed at the end of the day and it’s easy to divide up the list. For instance, when you discover that one of the students is missing a PE visual, this is a place to write that down so you don’t have the same problem tomorrow. I hope that these posts over the past 5 weeks have given you some ideas and tools to use in rockin’ the new school year! Hopefully you still have a few weeks of summer to enjoy. What do you see as the challenges you face when you go back? Share in the comments and perhaps folks will have some thoughts that might help! 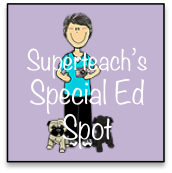 Next you can hop over to Superteach’s Special Ed Spot for the next post!